This review is about item#02169282. At a chemical company, with electric tools, cleaning of equipment, drilling etc. usually. I am concerned about electric leakage of my electric tool, so it is safe with earth leakage breaker. Site work --- electric dollar, Thunder, etc. It was good to be with a pocking plug. The temperature sensor worked reliably and safe work was done. Drums that are playing at home centers are almost nonstandard, so they can not be used. If you do something wrong, it will stop work. 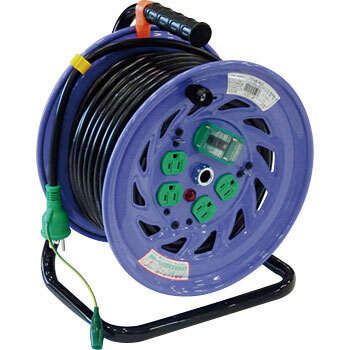 Since this product is equipped with an earth leakage breaker, it is safe to use it without any problem in safety standard inspection.